This week the PGA examiners are in town assessing year 3 PGA trainees. These guys are coming to the end of their training and passing the practical swing exams this week enables them to complete the 4 year programme. A big thank you to the various members who have assisted the PGA by volunteering to have the free lessons. Vince Sarsfield has been working with assistant James on his game and is progressing nicely. Vince has paid compliment to the easy, not to techy method of Jame's tuition and his calming laid back approach. Vince has also had some time with me testing new irons from our large range of custom fit options. This has been very beneficial and Vince picked up his new custom fitted irons. Gary has been busy working with members this week, carrying out lots of the FREE 15 minute sessions. Alongside these Gary is creating a decent stable of players who are showing great progress with their games and benefiting from the video visuals that Gary offers. FREE 15 minute sessions will continue to run until further notice so take advantage of this offer by calling in to see Gary at the Academy. 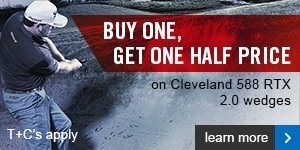 We are currently running a Cleveland Wedge Promotion. When you purchase a Custom Fitted Cleveland Wedge then you can get a second wedge for ½ price. Do you have gaps in your bag? Have a wedge for all the yardages you need? We can help you with your short game, so this is definitely a promotion that warrants your attention. 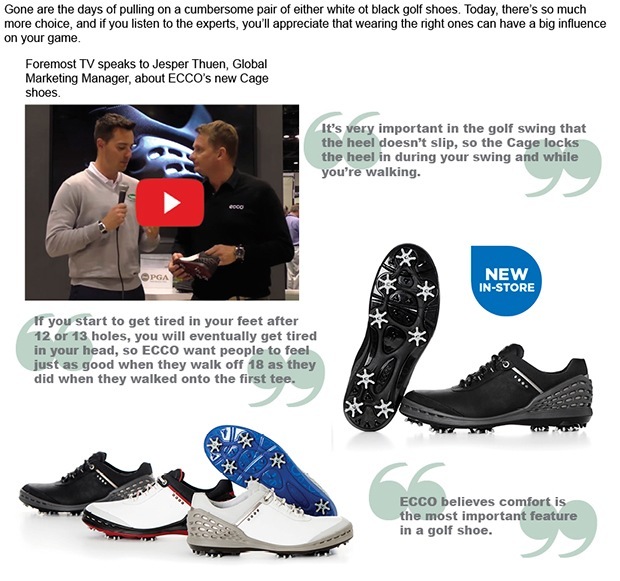 Product feature - The new DryJoy Tour - amazing style and comfort! The new styles are now in store and selling well. 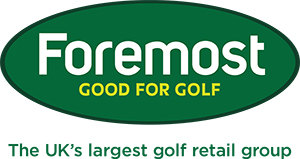 We have one of the largest ranges of golf shoes in the area so pop along and take a look! -Midsole and outsole designed to provide a durable and stable hitting platform. -Excellent Midfoot Support -For premium comfort. - Extremely soft, lightweight & very durable. We are once again offering £25 trade in value for your old battery when you upgrade to lithium! 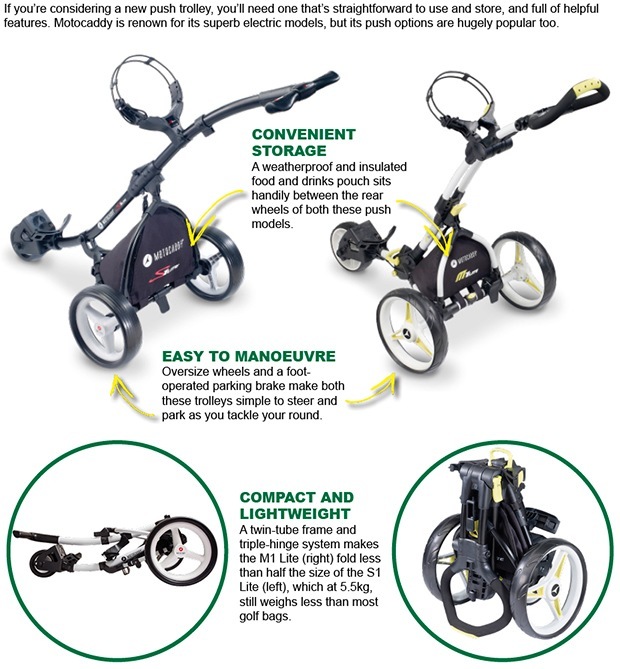 All battery connections are available to suit all makes of electric trolley. The latest exciting range from Galvin arrived this week and there is some superb pieces of technological fabrics and garments available for you.